Spring Break is in the air, not only is the weather here in east central Florida giving us the tell tale sign but the phone is ringing off the hook! Spring Break in Cocoa Beach and the surrounding areas can bring some serious fun on the water! This trend is making us happy. If you are looking for fun on Cocoa Beach this spring we can help. I’m sure if you like the outdoors and the river – All Water Adventures has what you are looking for. If you are into fishing there’s a plethora of options for you. 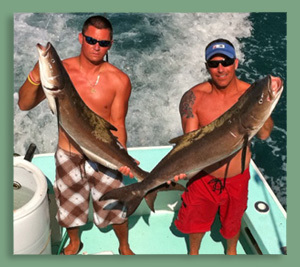 Cobia have started their yearly migration near the cost and the redfish in the river are schooling up nicely. Sea trout of all sizes are fun to catch when teemed up with the right size fishing outfit. With large parties of 4 to 6 on our pontoon boat, trout are a common target for us. If you fancy yourself a bit more of a savvy angler we have several flats boat options for 3 anglers or less to chase the shallow waters of the Indian River Lagoon system for trophy redfish, black drum, snook and sea trout. Paddle boarding or known in short as SUP has become the most popular All Water Adventures choice. We have private lessons & tours daily. Sup fishing trips and mother boat paddle boarding tours where you get a combination eco tour, boat ride and SUP workout. These make for some incredible memories. Sitting back and cruising on our private, spacious pontoon boat can sometimes be just the ticket. No pressure – fish if you feel like it or just enjoy the Indian River lagoon system. We see plenty of manatees, birds and dolphins. Spring is a wonderful time of the year here on the Space coast of Florida, we would enjoy helping you find the perfect memory. Here’s a list of useful links when planning an All Water Adventure.